Lady of the House is an idea. Lady of the House is someone many of us grew up with, rooted in our own families and homes. She’s the matriarch, the maternal archetype symbolizing warmth, hospitality, and pleasant control. She’s the person who taught us to cook, and host, in the same way that Chef Kate’s mother and grandmothers taught her as a child. This idea, very real for every member of the Lady family, is a way of thinking about things, of taking care, of preparing food and drink with love, and gratitude. We embody the strength, perseverance, generosity, and care that symbolizes every Lady of the House, whether she’s preparing a meal, or working hard to build a better life for loved ones and beyond. 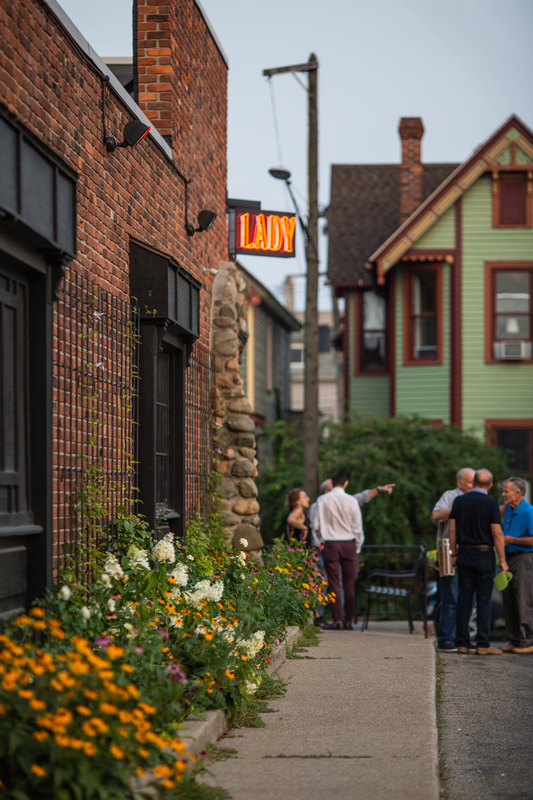 Lady of the House is a Modern American restaurant and bar by Chef Kate Williams in Detroit’s historic Corktown neighborhood. Our menus demonstrate a passion for knowledge and technique, with special emphasis on freshness and creativity, also reflecting a strong commitment to community sourcing and support of Michigan farms. The goal of our hospitality team is to provide an unforgettable dinner party every night, each visit a unique experience for travelers far and near, or neighbors across the street. 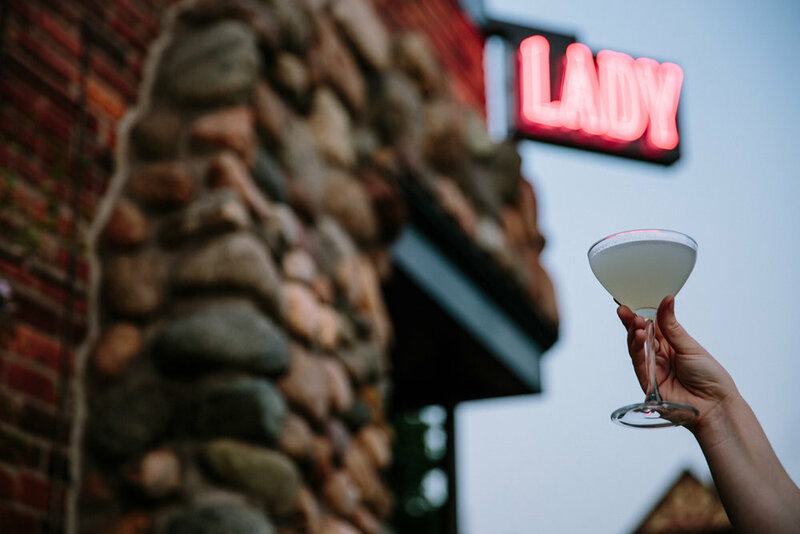 Our offerings may surprise or delight you, but after all, we’re responsible for your happiness, and this means you should want for nothing while you’re here, already so generously sharing your evening with us. Quite truly, we couldn’t do it without you. We look forward to caring for you soon. 1426 Bagley, Detroit, MI 48216. On the corner of Bagley and Trumbull, two blocks southeast of Michigan Ave. Please join our newsletter to receive the latest on dining, menus, tickets and more!